Hi buddies. It’s been a long time since I shared some cool recipes. Well, picnic’s over! Let’s get back to cooking! 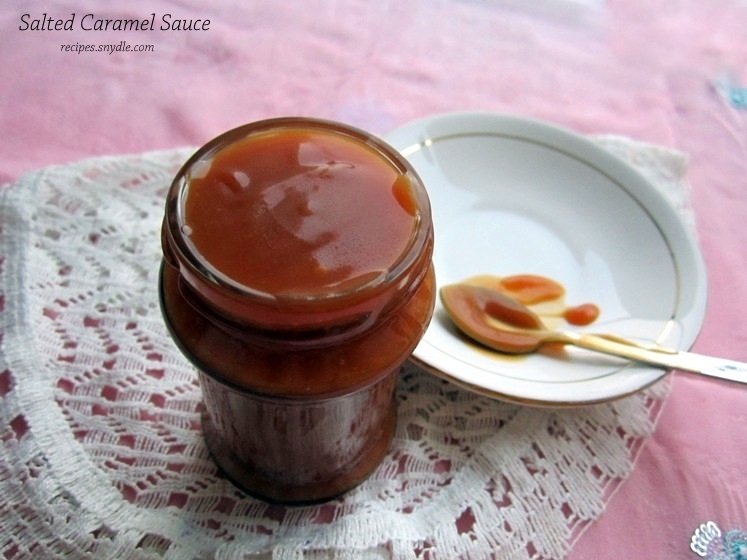 I recently made a bottle of delicious, silky and irresistible salted caramel sauce, also known as the butterscotch sauce. 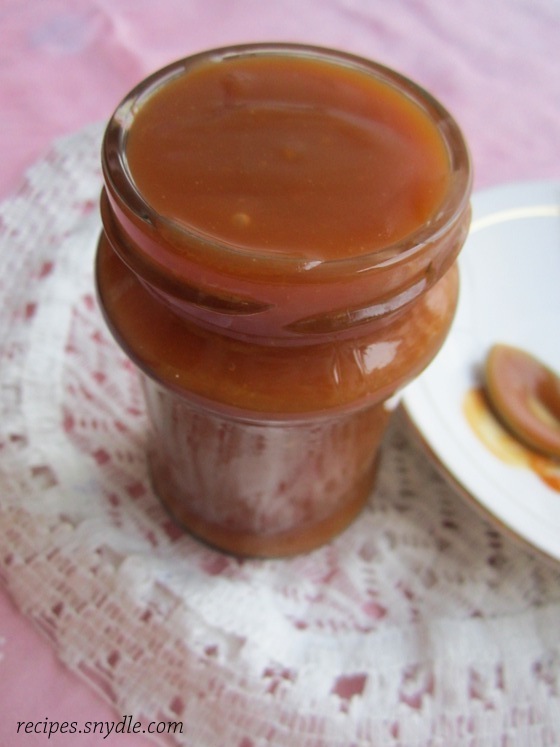 This sauce makes an excellent ingredient when you want to impart a buttery, salty, intense and rich caramel flavor to your milkshakes, coffees and hot chocolate! This caramel recipe is ideal to use for making caramel apple, salted caramel brownies, salted caramel cupcakes, salted caramel mousse and caramel popcorn as well. 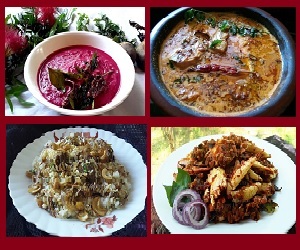 I will share the recipes of all these sinfully good stuff with you very soon. You can also pour this salted caramel over vanilla ice cream. I like to pour hot or warm caramel sauce on cold vanilla ice cream. The hot and cold combination is just out of this world. The salted caramel sauce thickens a bit when you store in the fridge. You can liquefy it by placing it over a double boiler for a minute or so and it will again have the pouring consistency. 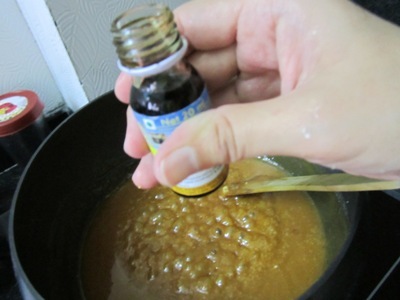 For this caramel recipe, I have used a high-quality, granulated sea salt for this recipe. 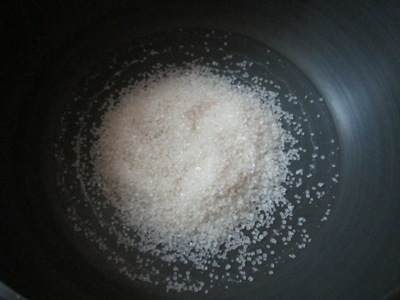 If you do not have it, feel free to use the common salt. The quantity would be the same. Moreover, I have used salted butter. 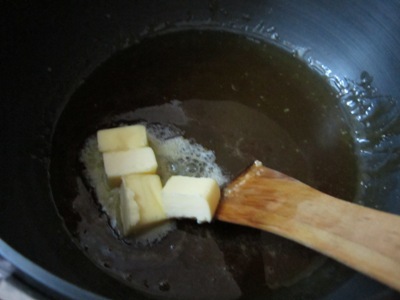 If you have the unsalted butter at hand, increase the quantity of salt by about 1/2 tsp. 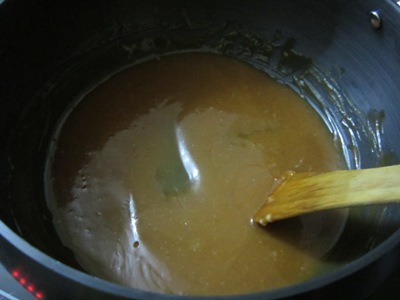 Let’s begin with the recipe of salted caramel sauce. For the purpose of measurement, 1 cup = 250 ml. 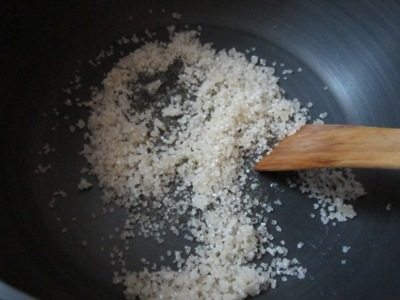 In a non-stick sauce pan, add in the sugar and keep the pot on medium heat. Keep stirring. The sugar will soon begin to clump together. After about 10-12 minutes, you will see the sugar has caramelized completely. 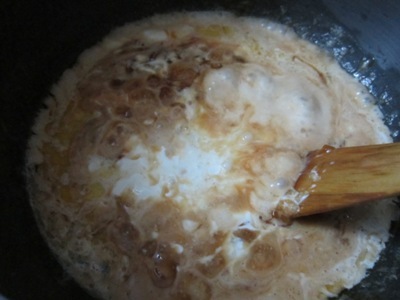 You can caramelize it till its golden or continue to proceed till it becomes golden brown. 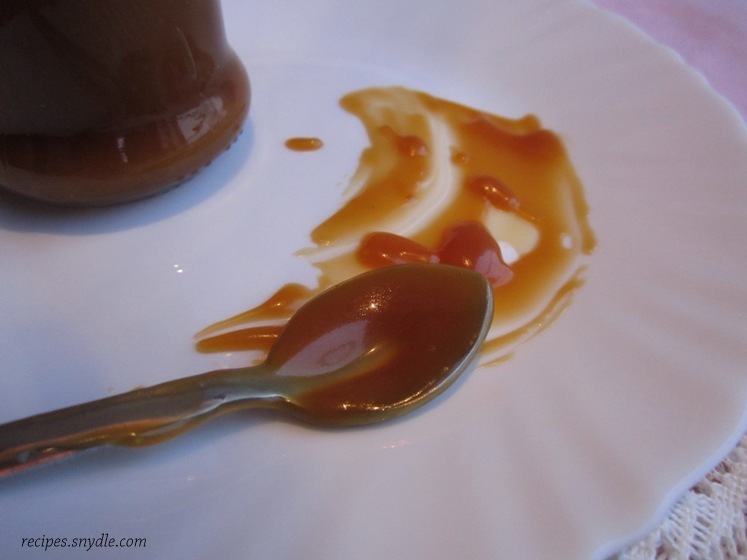 How long you caramelize the sugar decides the intensity of the caramel flavor of the sauce. I like the intense flavor so I cooked my sugar for 15 minutes after it had clumped. Stir constantly and regulate the heat between low and medium as and when needed. Now keep the heat to low. Carefully add in the butter and allow it to melt. The caramel will sizzle to be very careful. Stir well till the butter melts. Carefully add in the fresh cream and stir. Add in the salt as well. Bring the sauce to boil on medium heat. Keep stirring. The sauce will appear glossy now. After a minute, add in the vanilla essence. Mix well and switch of the flame. Use the sauce hot or allow it to cool down. Salted caramel sauce is ready. Fill the sauce in a sterilized bottle and refrigerate. The sauce stays good for about 2 weeks. If beyond, I am really not aware of it. It is so delicious, mine got over in a week. Enjoy! Previous Post: Ajwain Papdi Recipe/ Papdi for chaats Recipe.